COMPLETELY hidden from the road, Ursula Reid’s secret Queanbeyan garden backs on to the river and features a riverside walkway, a waterfall that runs from the top level to the bottom and several heritage-listed trees. “A real point of difference with the garden is that you can’t see anything of it from the street, so you have to drive in to find out what’s here,” Ursula says. 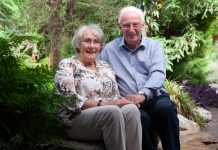 Ursula is opening the garden to the public on the weekend of October 8-9 to honour her husband Keith, who passed away three years ago, and also to raise funds for the charity HOME in Queanbeyan. 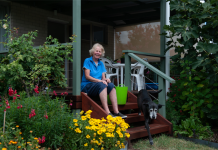 It’s the second time she has opened the garden, and says the last event in 2014 was a success with around 500 people coming along and raising almost $3000 for HOME in Queanbeyan. “It was tiring but I think it’s a good thing to do,” she says. “Since the last time, we have converted raised veggie beds into raised flower beds, which give a splash of colour, and added baby cyclamen which were Keith’s favourites. “Hosting this event keeps Keith’s name out there and his memory alive. Ursula and Keith created the tranquil garden when they bought the property in 1999. Established from 2000, the garden was originally the site of a kitchen garden belonging to Benedict House when it was a convent, Ursula says. “The block overlooks the riverside walkway, blending natives with ornamentals and this year the Geranium and Fuchsia Society will be displaying their plants in the propagation glasshouse for the weekend,” she says. “We will also have glass artist Lisa Cahill selling her jewellery, live music on both days, with Stuart Warner on Saturday and Chrissie Shaw on Sunday. 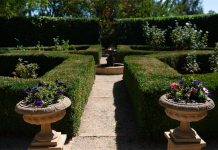 The Keith Reid Memorial Open Garden at 7A Thorpe Avenue, Queanbeyan, is open 10am-4pm on the weekend of October 8-9. Refreshments will be available. 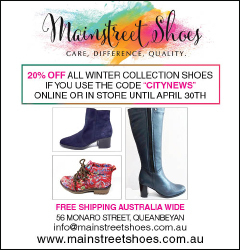 Entry $5 and proceeds will go to the charity HOME in Queanbeyan.